MSJE Wins the Yes2Chess International School Team Championship in London! 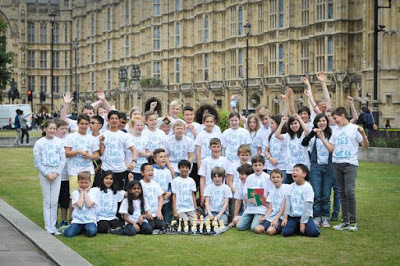 The kids from Mission San Jose Elementary School are headed home from London with a huge trophy for winning a prestigious international school team championship. 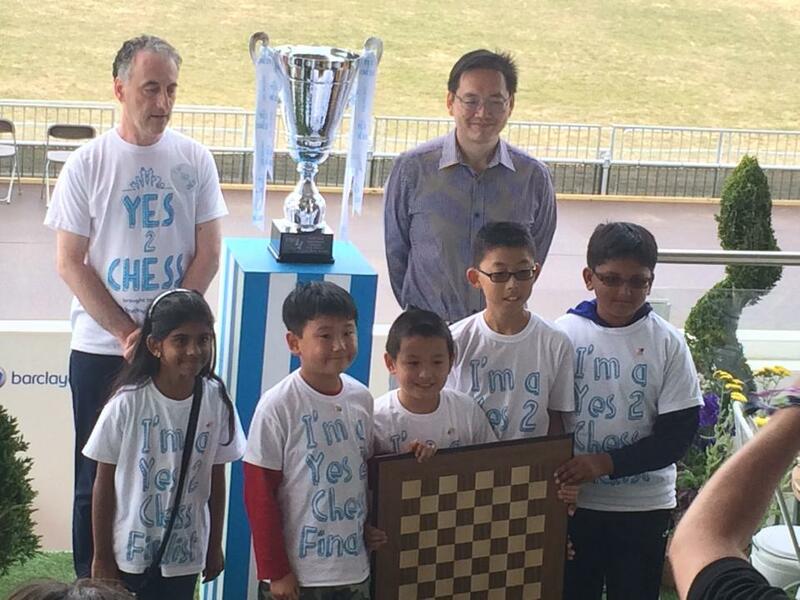 This truly global chess tournament was organized by the UK based Yes2Chess and sponsored by Barclays. In order to represent the United States, Team MSJE first had to defeat the other top chess programs from the United States in the Yes2Chess National Championship. Once MSJE won there, our players were awarded with an all expenses paid trip to London for the International stage of the event. Many chess enthusiasts are likely unaware that the USA wouldn’t have been victorious if not for the amazing efforts of one Chess Mom, Hui Wang. I first met Hui at the Fremont Summer Chess Camp in 2011 and she has continually impressed me since then with her devotion to her children and chess. Behind every great chess team I have ever coached for is a parent or two who really are the unsung heroes. 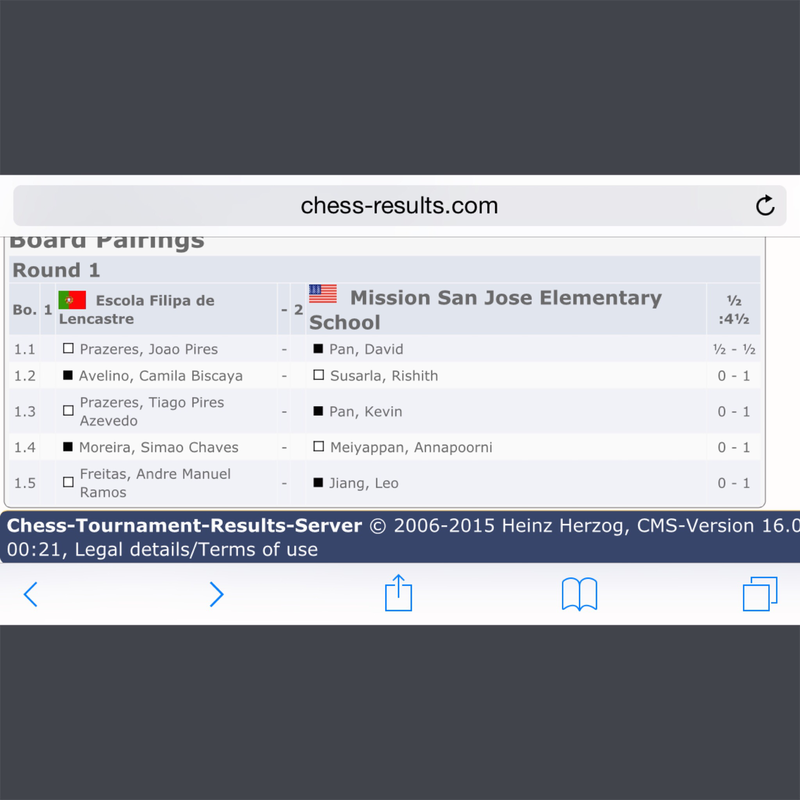 Parents like Hui and are a huge factor in Mission San Jose Elementary School’s and the United State’s chess success. At MSJE, this parent tradition extends back decades all the way to when Head Coach and Founder Joe Lonsdale started the group. 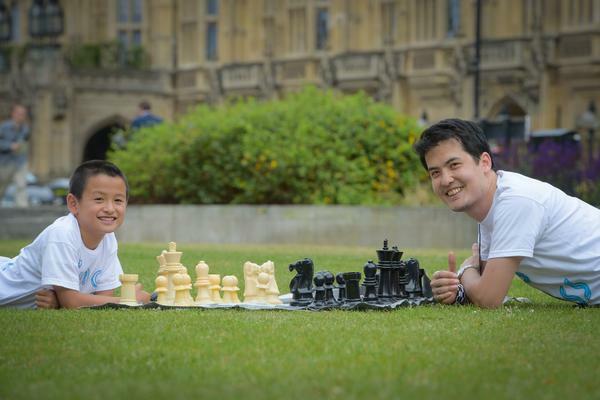 Yes2Chess finalists from eight different countries enjoying London together. Of course it was the kids themselves who won the event. 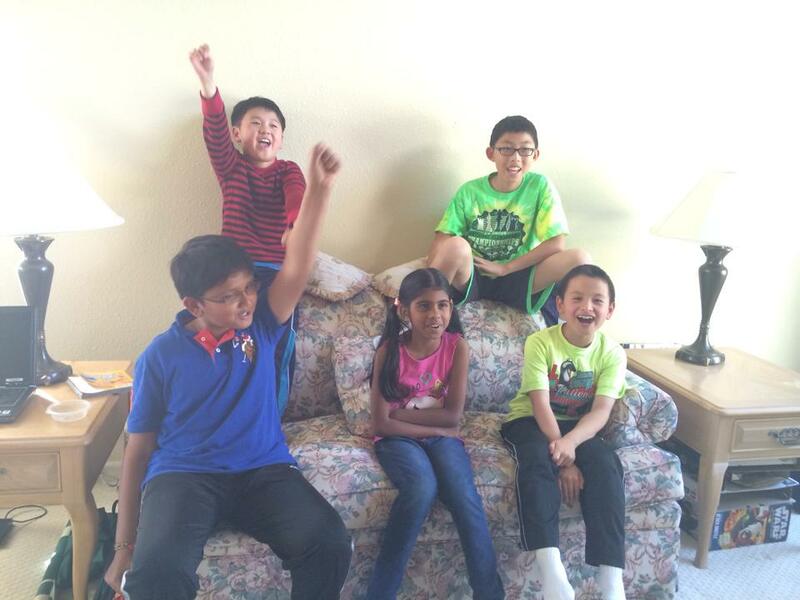 Team USA from MSJE was comprised of David Pan, Rishith Susarla, Kevin Pan, Annapoorni Meiyappan and Leo Jiang. Each of these children are chess stars in their own right and together they proved to be an unconquerable force with an overall record in the international stage of 16.5 wins out of a possible 20! Kevin Pan hanging out with Grandmaster David Howell after Kevin defeated the GM in a simul! Team MSJE after winning the Yes2Chess National Championship! There were two elementary school chess team championships held in the United States in May 2015. The weekend of May 9th and 10th the USCF (United States Chess Federation) held its annual Elementary school chess championship at the Grand Old Opry Hotel in Nashville TN. This is the “official” chess championship and for the second time in three years (also 2013) and the third time seven years (also 2009) MSJE (Mission San Jose Elementary of Fremont, CA) won the National Elementary School Chess Championship. In the USCF Championship schools enter as many players as they want in the championship section of the Nashville tournament. Over 2300 students and 600 teams competed in the tournament in Nashville. The Yes2chess nationals were designed to come down to four teams the plan was to have an online playoff on the day after Memorial Day. The four teams were Nest A with an average rating of 1537, Nest B, 1655, and IS 318 with an average rating of 1758. Both Nest teams and IS 318 were from New York City. The fourth team was MSJE with an average rating of 1771. (Note Kavya played on our B team and was not eligible to play in these finals.) Nest and IS 318 have both won USCF National titles. They are part of the very strong New York City scholastic chess program. The New York teams played at the famous Marshall Chess club in Manhattan. We played in Don Pans’ (David’s dad) home. In the first round we were paired against IS 318. We expected, based on ratings, that they would be our main competition. We got off to a bad start and lost on board four and five. Boards 1-3 looked even with maybe an advantage on board 2. Board three then draws based on a repetition of position. We now need to win boards one and two or lose our first match. It is almost impossible to win a four team round robin if one losses the first round. This is a unique feature of team match chess. On board one David Pan had four pawns and a knight vs. four pawns and a bishop. This would have almost certainly been a draw except for the pressure put on David by the fact that the team had to have a win. David got his king to the center and won several pawns and the game. Rishith pushed home his advantage and we get the last two points for a 2 ½ to 2 ½ draw. Meanwhile Nest B beats Nest A 4-1. We are paired with Nest A in round two. We expect that MSJE and IS 318 will win our last two matches and it will come down to tie-breaks, which is the total points scored. We get off to a good start against Nest A. Leo wins quickly on board 5. Rishith and Kevin win on boards two and three. That assures that we win the match. Annapoorni losses a tough game on board 4, and David draws on board one. This gives us a 3 ½ to 1 ½ victory, but it is somewhat discouraging as Nest B beat Nest A 4-1. I was concerned that if IS 318 could beat Nest A 5-0 they would beat us on tie breaks. The result of the round two Nest B versus IS 318 match is a 4-1 win by Nest B! This is a shocker. We thought IS 318 was our major competition, but now Nest B has two wins and we have a win and a draw. Also they have scored 8 points against the two teams that we scored six points. It all comes down to the last match Nest B versus MSJE. If Nest B wins or draws the match, they go to London. If we beat Nest B we go to London. Round three gets off to a good start. We are looking very good on board one, where David Pan has a strong position. Also both Annapoorni on board 4 and Leo on board 5 are ahead material and seem certain to win. Rishith seems to be in a tough fight in board two. David wins giving us the first points. Leo is moving his rook to take a knight and announce checkmate on board five when the rook stops short of the knight and his opponent gets a simple checkmate. Leo is devastated the position was very simple and the only move was checkmate. The rules on mouse errors are very clear. The move and the loss stand. Shortly after this happens Annapoorni wins on board four. Then on board two the opponent of Rishith has a mouse error and goes from a very strong position to a lost position. Rishith pushes home the win and we have a victory and a trip to London. Kevin is way ahead on board two. We try to keep the celebrating to a minimum until Kevin checkmates his opponent. Kevin wins and we win the last match 4-1. The MSJE Chess team is going to London! 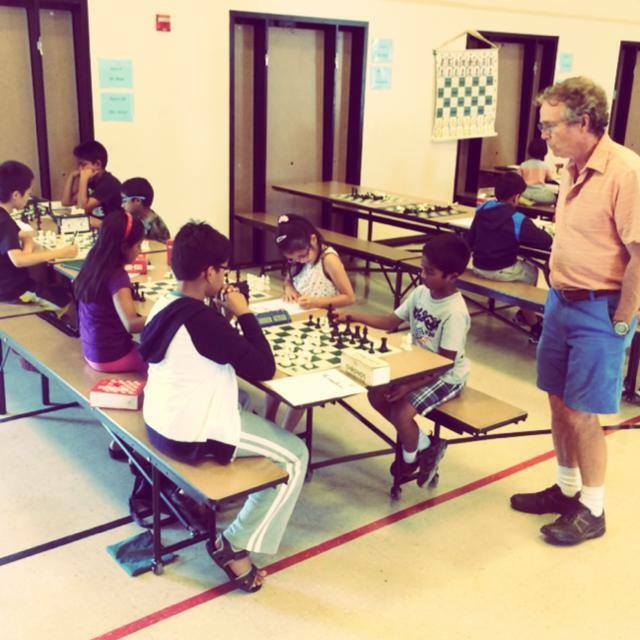 Your child can come and train with the MSJE Chess Team this summer at the Fremont Summer Chess Camp. Sign up Today!